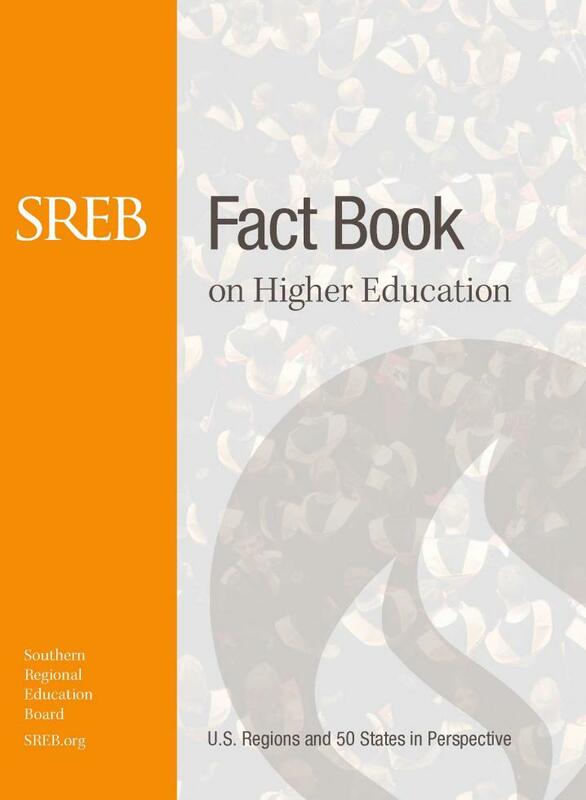 The SREB Fact Book on Higher Education is one of the nation’s most comprehensive collections of comparative data on higher education. For decades, state leaders, policymakers, researchers and journalists have used the Fact Book to find accurate, comparable data and learn more about long-term trends. The 2017 Fact Book includes more than 100 tables on data such as the population and economy, enrollment, degrees, student tuition and financial aid, faculty and administrators, revenue and expenditures. In all but specialized data based on SREB’s regional survey, figures for each of the 50 states and District of Columbia are available. Increasing education attainment levels continues to be a top issue for state policymakers and education professionals. They know that good jobs (those paying at least $35,000 annually to workers under age 45 and $45,000 to workers ages 45 and older) increasingly are going to people with associate degrees or higher, according to the Georgetown University Center on Education and the Workforce. The percentage of working-age adults with an associate degree or higher in the SREB region still trails the national average. In the SREB region, the percentage of working-age adults (ages 25 to 64 years old) with an associate degree or higher was 37 percent in 2015, up from 35 percent in 2009 but lower than the 41 percent for the nation. Data on educational progress at various points in the education pipeline offer some good news, but they also suggest the region might face some challenges. The good news is that the SREB region again increased in pre-K 12 enrollment from 2004 to 2014 — growth that will soon makes its way to college. More good news is that high schools will see a net gain of high school graduates by 2031-32, according to the Knocking at the College Door Projections of High School Graduates. No other region is expected to have a net gain by 2031-32. The fact that pre-K-12 enrollment and high school graduation rates are increasing is also good news for the potential improvement in education attainment levels. Pre-K through grade 12 enrollment rose 9 percent in the SREB region between fall 2004 and fall 2014. Nationwide, the increase was more modest, at 3 percent. As for high school graduation rates in the SREB region, the Adjusted Cohort Graduation Rate (ACGR) rose from 82 percent in 2012-13 to 86 percent in 2014-15, a larger gain than that of the nation, which was nearly 2 percentage points during that time. While the future looks positive for college enrollment in the nation and region, the immediate past saw college enrollment in the United States decline. Without substantial increases in college enrollment and completion, the nation cannot improve its education attainment level. Total college enrollment declined almost 7 percent nationwide between fall 2010 and fall 2015. The SREB region also experienced a decrease with total enrollment dropping at a lower rate: 4 percent. The declines in enrollment varied by race/ethnicity, student level, part-time/full-time status, and type of institution. In the SREB region, total enrollment declined for white and black students, 11 and percent respectively. Undergraduate enrollment decreased almost 5 percent, but graduate and professional enrollment increased nearly 1 percent between 2010 and 2015. Enrollment at four-year institutions increased about 2 percent while two-year college enrollment dropped 11 percent. College progression rates are rising slowly but substantially at four-year institutions. If this continues, it will lead to higher completion rates. The cohort who entered in fall 2009 as first-time, full-time bachelor’s degree seeking students had a 77 percent progression rate as of 2014-15 — a 5 percentage point increase over the last 10 years. Progression rates for degree- or certificate-seeking students at two-year colleges are slowly rising. First-time, full-time, degree- or certificate-seeking students who enrolled in two-year colleges in fall 2012 in the SREB region had a 52 percent progression rate by 2014-15, a 1 percentage point increase over those who entered in fall 2007. Keeping college affordable remains a challenge for SREB states and continues to be a key policy challenge for the region. Many factors, including tuition and fees, student financial aid, state support of higher education, and family income, affect college affordability, making it difficult for policymakers to unravel the complexities of funding postsecondary education. The data indicate that most students and their families continue to struggle with college costs. The median annual tuition and fees for the SREB region rose once again in 2015-16. The median annual tuition and fees for in-state undergraduates at public four-year institutions in 2015-16 was $7,632, an increase of 4 percent over 2014-15, adjusting for inflation. At two-year institutions, the median annual tuition and fees for in-state undergraduates was $3,347 in 2015-16, a 3 percent increase over the prior year. Not all SREB states experienced tuition and fee increases. Florida’s $6,368 annual tuition and required fees represented no increase, after adjusting for inflation. Louisiana, however, experienced a 9 percent increase, after adjusting for inflation. The increases in tuition and fees outpaced rises in incomes, causing them to add to the overall cost of college. SREB states, however, seem to be taking steps to control the impact of rising tuition and fees. In-state undergraduate tuition and fees at public four-year colleges and universities in the SREB region accounted for 13 percent of annual family income for those in the middle quintile, less than a 1 percentage point increase over 2014-15. In comparison, tuition and fees accounted for 46 percent of annual family income for low-income families, a 1 percentage point decrease from 2014-15. Although nationwide student loans represent a lower percentage of total student aid than grants and scholarships, the percentage of first-time, full-time students who took out loans increased about 1 percentage point for both four-year and two-year colleges between 2009-10 and 2014-15. In addition, the percentage of college graduates with student loan debt has increased 4 percentage points between 2009 and 2014 and the average amount owed increased over 33 percent. Thus, students are continuing to take out loans to pay for their college education and, as a result, accumulating more debt. For some, the worry about accumulating this amount of debt outweighs the benefits of a four-year degree. State support for public four-year institutions in the SREB region might be reversing course. It increased 5 percent from 2014-15 to 2015-16 and 13 percent between 2012-13 and 2015-16 for four-year institutions. Prior to that time, SREB four-year institutions had experienced a decline in state appropriations. Two-year colleges have also experienced an increase in state support, with over a 2 percent increase from 2014-15 to 2015-16 and an almost 7 percent rise from 2012-13 to 2015-16.
nearly 25 percent in Oklahoma, after adjusting for inflation. While education attainment rates have not increased as quickly as policymakers had hoped they would when they set goals earlier in this decade, the signs of progress are evident. Projecting from rising K-12 enrollments in SREB states, increasing enrollments for higher education are likely on the horizon. 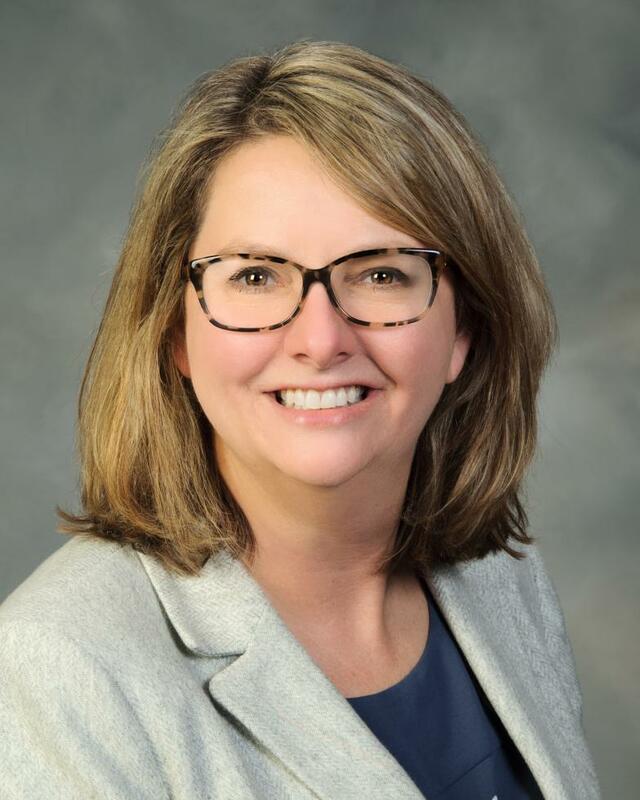 Stronger high school graduation rates than ever for SREB states boosts the effect of that enrollment growth and means more students will have met the basic college entrance criteria. Better progression rates mean students are staying in postsecondary programs longer. If states can find solutions for the stranglehold that the high cost of college has on students and their families, the education attainment rates that states set as goals might be reachable after all.